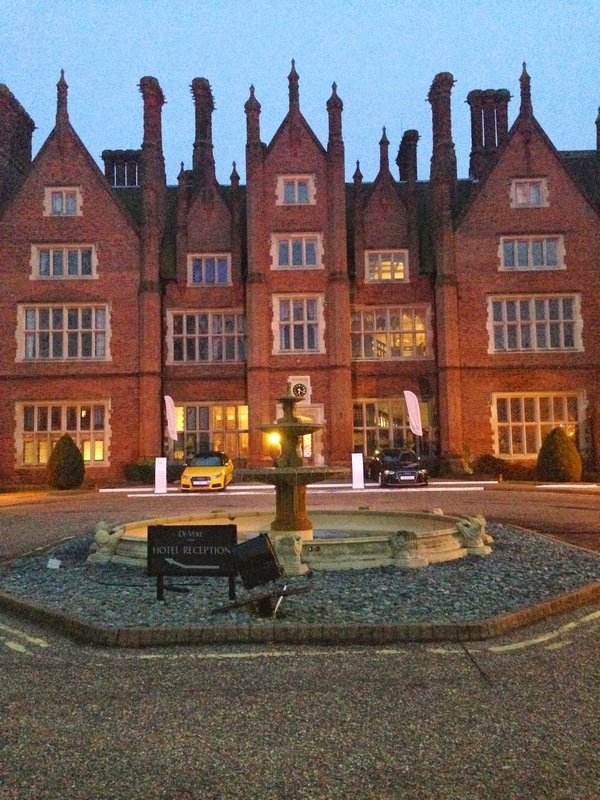 I was asked by the lovely Sarah, behind Paul Mitchell's PR team, to attend an event that they were holding at Duston Hall. I had never been before, so when I was greeted by a beautiful massive mansion, I had no idea what to do. Me and Courteney felt we were way out of our league. When we found our way around, we arrived at the bar where the event was held. The place was beautiful. I had never been to a place so extraordinary. Sarah was incredibly lovely on arrival, and we were instantly asked if we wanted a drink and if we wanted any food. The food was lovely, and the cocktails were just as good! I knew Paul Mitchell was a salon brand, but never really ventured out. Being a girl that's mad about makeup and usually neglects the hair, I've recently made effort with my locks, by treating them to luxurious products and cute buns, so this event was just perfect. We learnt that the brand plants trees, don't endorse testing on animals, and that it's their 35th anniversary! Amazing! After Sarah chatted to us about various products and what each product is good for, I then got chatting to some bloggers. Having already known the lovely Courteney from Courty Peach, it was nice to meet a few others. The two lovely ladies I met were Siobhan from Unexpected Geek, which we both kicked it off straight away with our similar interests and hooded eyes (Sorry), and the beautiful Justine which after we got talking, realised we had mutual friends! Small world! After a Pina Colada and a Woo Woo, Sarah generously handed over some super heavy bags. After I untied the cute bow I was greeted by a ray of products, a Paul Mitchell Lemon Candle which you get free with any two purchases from the Teatree range, a Paul Mitchell Extra-Body Daily Boost spray (£14.95) to add some extra volume to lifeless hair, Lavender Mint Tea Tree Conditioner and Shampoo (£27.50 for the set), and lastly a New CID Cosmetics I-Smoulder eyeliner in Charcoal (£18.50). Talk about being spoiled! Christmas sure came early! The event was so lovely, and I'm really looking forward to trying more Paul Mitchell products in the future. It was also so nice to meet other local bloggers and create new friendships. It really was a brilliant event, and hope they do more in the future! Siobhan, Justine, Sarah, Courteney and me. It looks like you had a fab time! I love Paul Mitchell! wow the venue looks amazing! I love the sound of the lemon scented candle. I need to try out some of the Paul Mitchell products, I've heard some great things. The venue was stunning! I'm loving the volumising spray - I'd really recommend that! Wow! That place looks so stunning. It was beautiful! I was felt very unworthy! Haha!